The young writer-director Damien Chazelle has followed his Oscar-winning drama 'Whiplash' with another entirely novel film steeped in the world of music. His soaring, romantic, extremely stylish and endlessly inventive 'La La Land' is that rare beast: a grown-up movie musical that's not kitschy, a joke or a Bollywood film. Instead, it's a swooning, beautifully crafted ode to the likes of Jacques Demy's 'The Umbrellas of Cherbourg' and Stanley Donen's 'Singin' in the Rain' that plays out in the semi-dream world of Los Angeles and manages to condense the ups and downs of romantic love into a very Tinseltown toe-tapping fable. 'La La Land' boasts stars to fall in love with: Ryan Gosling is Seb, a brooding pianist and jazz purist who dreams of running his own nightclub, while Emma Stone plays Mia, a more sunny studio-lot barista and aspiring actor who dreams of putting on her own plays. The film follows them from winter to fall and back to winter as they meet, argue, flirt, fall in love and face a growing conflict between their personal passions and romantic hopes. There are tender and imaginative moments to die for: Stone mouthing along to a cover version of 'I Ran' at a pool party; the pair watching their legs discover the power of tap while sitting on a bench; the two of them flying into the stars and waltzing while visiting Griffith Observatory - a moment inspired by a trip to see 'Rebel Without a Cause'. There are songs, there are dances (and Gosling and Stone prove easy naturals at both), but there are plenty of straightforward scenes too, especially as the mood sours. Some of those can drag, as if they've floated away from the film's core, but there's usually a showstopper nearby: one late solo number by Stone - an unadorned, conversational singer and a hugely endearing presence throughout - is heartbreaking. 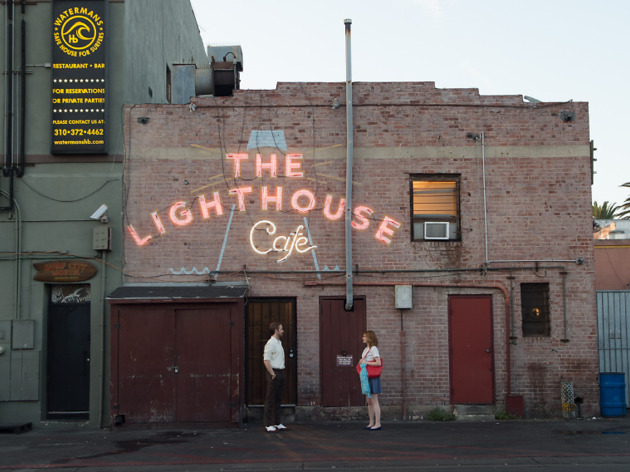 The look of Los Angeles in 'La La Land' could be called Demy meets Edward Hopper: all pastels, soft light, twilight and street lamps. It's set now, but only just, and the film somehow has a timeless 1950s vibe to it too, as if the golden age of musicals was playing out in our own time. The film's delirious, sideways, play-within-a-play view of Hollywood nods a little to the warped likes of David Lynch's 'Mulholland Dr' or Terrence Malick's 'Knight of Cups'. But this is a far sweeter, more generous film, offering up a place where artistic ambition and heady romance can co-exist, at least for a while, and breaking into song and dance can be both deadly serious and a whole lot of fun. Flawless. This film is absolutely flawless. I loved everything about it, I’ve had the soundtrack on repeat for days now and if I could, I’d drop a giant, heart eyed emoji in here right now for extra emphasis. First thing’s first, if you don’t like musicals, this is not a movie that’s going to change that opinion. It’s bright, it’s bouncy and from the opening number featuring over a hundred singers & dancers rolling across and jumping off gridlocked cars in LA, it’s unapologetically fabulous. 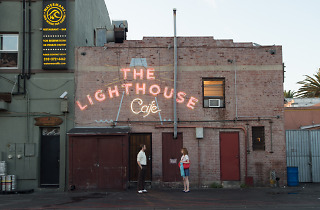 The story follows Emma Stone’s Mia (aspiring actress) and Ryan Gosling’s Seb (ardent jazz pianist) as they meet time and again in the City of Angels and their relationship as they navigate the choppy waters of aspirational stardom but don’t for one moment think that the message of the film only applies to those reaching for fame – anyone who has ever had a dream or an ambition or a longing to do something, anything with their lives, will be able to recognise themselves in these people. There’s an awful lot to like about these characters; their love story, particularly with the arguably unexpected ending, is one that’s already set up camp in my list of all time celluloid favourites. Their voices are sweet rather than soaring and there are no emotion-wrangling, Idina-Menzel-channelling ballads – in short, I believed every single word they spoke and sang, Stone being especially mesmerising in all her audition scenes. Gosling’s skills on the piano are undeniable and the long single takes that swoop around rather than cut away from him and his ivory-tinkling hands are gorgeous. He’s also every bit as funny as anyone who’s seen the majority of his back catalogue will know him to be – I’ve never seen a man rock an ‘80’s guitar with such fantastically hilarious pain. John Legend has a great supporting role – and one of the best musical scenes in the film – and JK Simmons is reliably awesome as the restauranteur who forces Gosling to play Christmas carols on repeat as oblivious diners chow down around him. Mia & Seb’s chemistry is undeniable – the hand holding scene had me holding my breath – and their dance numbers are a sheer joy to watch and a testament to the work put in to make it look so effortless – there are nods to gems of the golden age of musicals of course but they honour rather than imitate and Justin Hurwitz delivers a score that blends upbeat, infectious, impossible-to-ignore numbers with a melody that flows throughout and manages to wrench the heart before getting the toes tapping. It’s one of the most gorgeous films I’ve ever seen on screen – the colours dazzle & pop but in a way that feels entirely appropriate, modern and never forced. From the everyday scenes to the balletic sequences and the truly vintage end credits, Los Angeles – a city I adore – has never looked better with its sugared almond, candy floss skies and legendary backlots bringing the world of film to life in a way that was both recognisable and breathtakingly refreshing. Do I doubt that Mia and her West-Side-Story-esque room-mates could really afford their frankly fantastic apartment? Sure. Were there moments when I thought ‘hey that would never happen in real life?’ Yep. But that’s the beauty of musicals – they take you out of real life for a while and the really good ones, the really really good ones, well they leave you thinking about real life without even knowing it. It is possible tackle heavy going issues with a song and swirl of technicolour dress and if you disagree, I suggest you take a day to watch ‘West Side Story’, ‘Carousel’ and pretty much the entire works of Sondheim. To call this a labour of love for Damian Chazelle seems an understatement when you consider it took him 6 years to get this made and to call him an accomplished director seems a poor way to describe a man for whom this is only his third feature film as director – this is a man who knows how to create something stunning to watch & listen to on the big screen and I cannot wait to see what he turns his hand to next. For someone who's not the typical musical fan (myself!) and usually avoids watching musicals, La La Land was a revelation. Better than its reviews, better than its trailer, better than all of its award nominations combined, it's restored my faith in good cinema and made me believe there is more to Hollywood! It's real, it's powerful and the last 10 minutes will grab you by the throat unlike anything you've seen recently. A true masterpiece! A friend of mine said on facebook that if you're looking to experience "emotional trauma" you should go and see La La Land. My friend is an idiot. This is not a traumatising film. It is one that will have you wishing you had embraced those tap classes your parents tried to make you take as a kid, and have you rushing home to download the soundtrack as soon as possible! It is magical and beautiful and up-lifting. The film admittedly doesn't end how you'd expect, but it's not sad. It's just a bit of a shock - it's unexpected, because we've been trained to believe love stories in the movies always end happily ever after. But the thing is, this is a musical, where people suddenly break into song and dance and that isn't realistic, but this ending transforms it into a more real story... and I still left the cinema feeling uplifted and happy from a beautiful film with stunning scenes and cinematography. It's set in the now, but there is a timeless feel to it, from the beautiful free floating dresses (I bet sales of yellow dresses are about to sky rocket!) and suave tailoring, to the relaxed jazz based soundtrack. It encapsulates the romance of Hollywood movies, with a rose-tinted filter that makes you forget how fake and horrible that industry and world is. The music is sublime. The melodies are beautiful and romantic with stand out songs naturally being the Oscar nominated City of Stars, and Emma Stone's Here's To The Fools. Gosling proves once again that he is a perfect human being with his incredible piano playing WHICH HE LEARNT IN 3 MONTHS! This film will scoop up at the Oscars. I haven't seen any of the other nominated films but if either of these two are going to take home the best actor/actress gong, it's going to be Emma... she seems so real in this film. I want her to be my friend. I also want Gosling to take me dancing. So, quite late to the party on this one, I know but I've finally watched it! I REALLY wanted to love this film, the Emma Stone/Ryan Gosling combo paired with the dance and music was just a perfect match for me. Unfortunately, it just wasn't meant to be- it's quite clearly a pander to the Oscars and all things Hollywood, which is okay in small doses, when you can look past it but this is just 2 hours of that. The music was okay and Stone's audition song near to the end of the film was the highlight of the whole thing, I just expected more with all the hype! If you were expecting a hark back to the golden age of cinema, lower your expectations a little. I think my hopes were just too high when I watched this, I'll need to watch it again to give it a fairer review- it is feel good, it will leave you with a smile on your face, it just wasn't quite the film I was expecting! If the colourful retro decor, quirky ambience and melancholic ending made for an interesting watch, there were a few things that didn't quite work for me. If the music was rather fitting to the action, I felt the dancing wasn't up to standard from the lead actors. And that's a real shame, because it brought the whole scene down a little. No Gene Kelly factor. I also found Emma Stone's character to be a little flat. She didn't have as much depth as Ryan Gosling's and her narrative arch was just plain. It wasn't all bad though. And the romantic plot was, I thought, quite clever. But Oscar sensation? Maybe not. I'm not a huge fan of musicals, but this one was worth to watch. Nice story, with not classic ending and amazing performance of both lead roles. However, I enjoyed its inventiveness, the cinematography is amazing, the soundtrack is pretty and the ending is perfect and touching. I love the complexity of the final scene and I love the final song, a definite homage to "An American in Paris". The opening sequence sets the scene well, if you don't like that, you can leave early, because you won't like the rest of the film - it has the best dance routine and it lets you know that you are going to touch reality only intermittently. The good parts of this film are so good that you want to overlook the less good bits. Overall it is one the best films that I have seen in years. Trying not to fall for the obvious hype machine, I intended to enjoy the film on its own merits. The well orchestrated opening scene sets the tone for the entire film. The notorious LA traffic jams have never been more fun. Despite the rumours of who else could have played the roles, you really can not see beyond Ryan and Emma's highly engaging performances. You really do share their aspirations to make it as serious artists. There are some genuinely funny moments, notably the 80s cover band at a pool party. The technicolor cinematography harks to a bygone era. Although the ending isn't quite the one we're all rooting for, it seems appropriate. I defy you not to be humming any of the tunes for the rest of the day. La La Land is an absolute slice of heaven. I couldn't wipe the smile off my face for days after watching this fabulous film. If you haven't seen it, you must, you won't be disappointed! A true romantic, upbeat musical full of pure entertainment, energy, charm and life. I didn't know what to expect from La La Land, all I know is that it sounded a little silly. That was the first thing in my mind. I then saw a trailer and it began to become a huge deal. La La Land truly wasn't here to play around. We all know the amount of awards that it has won for best film and so on, but for me it felt like it was missing something. Almost incomplete. Don't get me wrong, I thought it was a spectacular film. 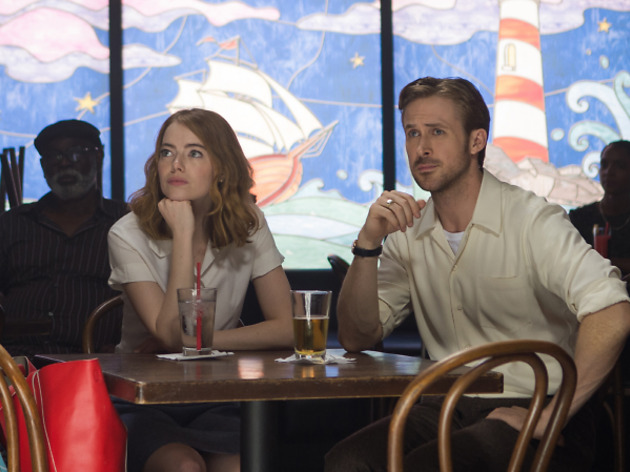 Both Emma Stone and Ryan Gosling did a tremendously brilliant job to create this story, to create this musical come to life on the big screen. If your not really into romance or musicals, then obviously this film is not for you. It started off with a bang, with a catchy musical track that I sang for a while after seeing the film. The cast sang and performed 'Another Day of Sun' on what looked like one of the busiest roads in Los Angeles. It was a perfect start to the film. I just loved how the camera was always unstable, always moving around. I felt like I was the actor or I was part of the film. I was transfixed into each part of the scene. It was completely enthralling to me as a viewer. It gave me a 70s/80s vibe and I loved the old, but modern feel to the film. It was captured and filmed immaculately. Two star-crossed lovers bound to be together, but with a sad twist. The best scene for me was when both 'Mia' (Emma Stone) and 'Sebastian' (Ryan Gosling) danced and perform a beautiful number on the middle of the road called 'A Lovely Night'. I smiled throughout this scene, it was simply gorgeous. I also adored listening to Mia and Sebastian's theme song, at times it made me cry. It was an unexplainable emotion. Emma Stone is magnificent, I have nothing to say. Looking through my list of my favourite actresses, Emma is definitely one of them. She has this incredible fire that she brings to the mood of her character. Overall La La Land gave me the emotion and the romance. For me it needed a bit more dance, I wish I could have seen a bit more of that involved into the story. I was expecting more movement. It had the movement, but I wanted more. The ending took me, it wasn't what I wanted to happen. I didn't want it to end this way. It was very sad and the look that Mia and Sebastian share said it all. It's so worth while to go and see it. Not to fuel the Oscar fire but La La Land is the stand out film of the year for me. Beautiful, funny and sometimes heartbreaking; realism meets the crazy out of world la la whirlwind of Hollywood with a massive smack in the face. Emma’s performance is stunning, Ryan effortless- together they pull offa modern classic. Bang on delivery with comedy, dance and drama.Be warned, the ending will fill you with so much raw emotion- it really is a cracker. Believe the hype. In my opinion this is exactly what Hollywood is for. A bright and energetic spectacular of a film. The story had a moral, without being soppy. The characters did things to make you like them and roll your eyes at them. The scenery was stunning. The music familiar, almost Disney esq, with the perfect blend of joy and pathos. I've been humming it all weekend. The dancing and singing had a vulnerability about it and I was impressed by the decision to cast 2 leading actors who were good at these things but not intimidatingly so. I'd read reviews commenting on how seamlessly they had taken devices directly from the golden era of musicals and slotted them into a modern setting and couldn't quite believe that would be the case. But it is. It's current and nostalgic all at once. I just loved it. As much as I admire serious filmmaking, with the World in a haze of madness it made a nice change to sit and smile at the screen for a few hours. This film was very entertaining and did really hit some romantic emotional nerves that made you really get into the story. However, the ending wasn't as I expected (well...what I wanted) and I think bittersweet romance musical is probably the best way to describe it. I have to agree with John C, it had a very Woody Allen vibe to it, could definitely liken to themes in Café Society. An easy watch, but not sure I will be recommending people to go to the cinema to see it. Good, but not great. 14 Academy nominations - do me a favour. If there was an award for re-cycling original ideas it would have an extra nomination. There is nothing wrong with borrowing from others (thank you Jacques Demy/ & Gene Kelly, & even Woody Allen). Or as we like to say "paying homage". But 14 Academy nominations ( not to mention Golden Globes etc.etc.) - I don't think so. If the film hadn't appeared with such a ridiculously overblown fanfare I would probably enjoyed it more. Lovely film! The dancing and the songs were really lovely. One of the songs was very haunting, and it stuck with you the entire film. The singing itself isn't very strong, but it was a lovely film to watch, and left you with a smile on your face! The most overrated film I have seen in years. Comparisons with the the classic Hollywood musicals are laughable. Having watched "Paterson", "Silence" and "Manchester by the Sea" in succession, this movie was not even in the running whether it be musicals, dramas or any other genre. Apart from a stunning opening sequence, reminiscent of "West Side Story" all it offered was a confused plot line, amateurish singing and dancing and an odd take on jazz. What actually did the Gosling character see as pure jazz was never revealed and his piano miming was awful? But the LA cinematography was great. So disappointed. Emma Stone was wonderful and even though you go to the cinema expecting it to be just another romantic, cheesy love story of which the outcome we have seen one too many times, it's not. It is so much more than a typical rom-com. It is about being young, having dreams, taking risks, giving up and getting right back up again. It's about love, envy, passions and let-downs with a lot of singing and dancing. I really think its brilliant and I will gladly watch it again! Massively overhyped I am afraid. The story is fun, it's a sweet film, the music is good, not great; the acting is fine but not as good as something like Manchester By The Sea. Gosling's performance was sometimes lacking... also the director's insistence in filming a number of the scenes in single takes (fun to watch) was spoilt by moments where the image was soft... not good. When you have low-light situations it's very hard to get a tight focus this is made harder when you have a moving camera and with a single take you don't have the chance to cut away to 'fix' it. It was distracting. La La Land is the most talked-about movie right now, and it will be for a very long time. It came out at the right time, when the world needed a 2-hour window of infinite sweetness. Visually, it is impeccable. The colours are popping, the light is perfect, the costumes are dashing. You might get a bit confused after the opening scene, but it gets you right into what is at the heart of the film, its music. The soundtrack is catchy, lovely and inviting, specially the instrumentals. I was not massively impressed by the voices of the actors, but they deliver everything with depth. The dancing, on the other hand, is poetic and beautifully executed. It is a modern-day romance with everything in it : the sweetness, the struggles, careers, dreams. The love story between Emma Stone and Ryan Gosling's characters is everything but cheesy, is romantic, is far from a standard rom-com. If you are a romantic, you will fall for this movie and want to see it again (I know it's now one of my favourite movies ever, and would want to see it as many times possible). If you are a bit reluctant, bear in mind this is from the same director as Whiplash! LaLa Land. Does it live up to the hype? In many ways, yes. It is a film of two times, planting elements of classic Hollywood romance into a modern-day fable about following your dreams. Emma Stone's performance is compulsive viewing, combining fragility and emotion with a realistic helping of gritty determination intermingled with self-doubt. Most of the musical set pieces are bewitching and beguiling, and can simply be enjoyed for their aesthetic beauty and emotion, rather than necessarily their relevance to the plot. However, those that don't focus on the romantic leads hit a rather dull note - without their chemistry to hold your attention there's little toe-tapping catchiness to fall back on. Overall, it's relatable, entertaining and pleasing to watch, but it falls rather short of being a five-star classic. Unlike the best musicals, it doesn't leave a lasting impression. You may struggle, a day later, to remember a song, or consider a scene, or think of how much you'd like to see it again. Artistically, it's wonderful, but in many ways LaLa Land embodies the Hollywood parties it pastiches: entertaining at the time, but unlikely to lead to a long-term friendship. I am biased, if I watch any film starring Emma Stone or Ryan Gosling I will more than likely love it to bits. La La Land stars both these gorgeous and talented actors, the bonus is they fall in love! The film is beautifully shot with vibrant colours throughout. Emma Stone's bright yellow dress is still stuck in my mind. If you didn't already know, the film contains a lot of singing and dancing. Even if musicals aren't your thing, you still might enjoy La La Land, it's not overdone and it's far from cheesy. It also gets pretty emotional, so be prepared for tears.. This film was a whimsical journey of the rise and fall of Sebastian and Mia’s relationship, set against a LA backdrop. I loved this film more than I thought I would. It contains a few catchy tracks and an awesome piano performance. The dance numbers are reminiscent of 1950’s musical films, which is really cool to see as it’s set in modern times. It’s not all solid singing, there is a lot of unsung dialogue. There are some very funny moments too – especially when Sebastian has to perform in an 80’s band. 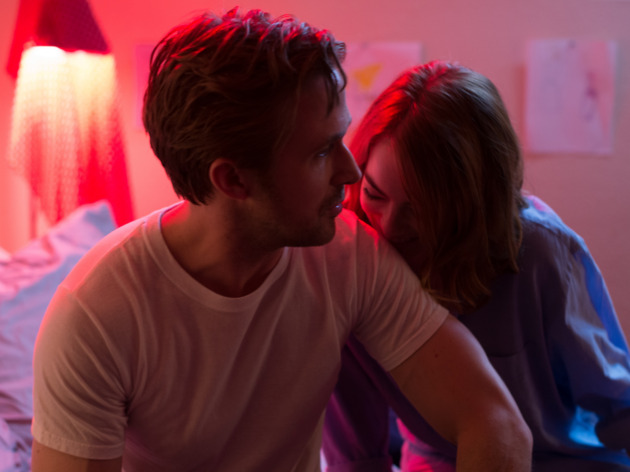 Ryan Gosling and Emma Stone deliver top performances. I loved the ending. It is more of a girly film. My other half didn’t seem to appreciate it so much. Likened to Singing In the Rain I loved this new feel modern technicolour all dancing and sining film. I am a big fan of Emma Stone, a versatile actress. You can hardly believe the actress dancing in front of you also starred in SuperBad. Ryan Gosling also learnt the piano for this film which I think shows the amount of energy and effort everyone put in this film. It's a firm favourite of mine and I hope it wins lots of Oscars this year. A beautiful film with brilliant colours and a quirky, romantic storyline. The songs and dances were cutesy and entertaining to watch and the lead characters were extremely believable. The film was a joy to watch but sadly for me didn't wow me enough to give the full 5 stars! La La Land is exactly the kind of innocent beauty the world needs right now. Ryan Gosling's incredible talents playing the piano, dancing, acting, being funny and singing is remarkable as always. Emma Stone is absolutely charming, showing both her famous comedic power and her gift at playing an array of emotions – her strongest scene being singing For those who dream. Half-American, half-French (had to put a bit of chauvinistic pride in here) director Damien Chazelle, who also brought us Whiplash, brilliantly brought back to life a genre that had died decades ago after its golden age in France with films like Les demoiselles de Rochefort, that have always inspired him. It's such a happy film and will bring light in your life, even though I must say, I don't agree with the bittersweet ending but I guess it's more realistic depiction of real life. You will laugh a lot, you will cry a lot, you will in general be an emotional mess by the end of the film. The colours, the clothes, the love story are everything I love. But what surprises me is to see such unanimous critiques as it was really niche and I wouldn't have expected most men, for example, such as my boyfriend, to be fans but, somehow it works. I guess the way Chazelle films music, especially jazz has a lot to do with it. I have been listening to the soundtrack ever since I've seen the film, which means that I do not walk anywhere anymore but jump and dance down the street instead like a total lunatic. To sum it up, this film is absolute beauty and I recommend to anybody to see it! Set in our time yet reminiscent of decades gone by, La la land promises to be as timeless as the themes it builds on: love, dreams and music. Were it not for its end, La la land would be another sweet romcom, blending great tunes, dreamy scenes and protagonists you can easily fall in love with. But as you approach the finale, you discover its clever and realistic touch, with a generous hint of nostalgia: La la land is not just a story about romance and the pursuit of one’s dreams, but a reminder that depending on the path we choose, life comes in many flavours, each bitter-sweet in its own way. The movie reminds us of something we probably all know: we cannot have it all and choosing one path over the other inevitably renders some chapters unlived. But that’s ok. And that (as well as an unforgettable piano tune which lingers on long after the lights have come one), is what you take away as you make your wait out of the cinema. What's not to love about La la land? The amazing performances, the fresh groovy songs, the dancing, the romance, the stunning LA in the background, the colourful dresses? Observing two young people falling in love and trying to overcome their struggles of chasing their dreams, as "cheeky" as it may sound, this film is a pure contemporary masterpiece. Flawless is the word. I didn't realise how the 2 hours went through. It may look like a chick flick but it is not. It is a great musical that made me dancing on my seat for most of the time and bursting into tears at the end. I got obsessed with the music - I keep listening to the soundtrack since I watched the film. Highly recommended! The film is a beautiful homage to Hollywood cinema and Los Angeles. Visually the film is stunning. However, conceptually the film seems to be also a homage to the American Dream. LA is presented as a colourful, welcoming city inhabited by a young and arty crowd. Mia's and Seb's journey to stardom seems smooth and pretty easy to follow, which again, is just an American Dream. The film also relies heavily on appropriation and intertextuality; at some point, the opening scene of Lynch's 'Mulholland Drive' is referenced, but only visually, without exploring its interesting subject of (dis)illusion and the American Dream as a nightmare. Still, the film's storyline, visuals and the emotional engagement that it involves the audience in are seriously skilful. The film is a perfect Hollywood propaganda product. It's Hollywood at its best and all that it has to offer. Nothing more. I really enjoyed this movie. It's not a musical as such but a movie with a few song numbers which are beautiful to watch and listen too. My only negative is that sometimes Sebastian reminded me too much of Noah from the notebook especially during the scene sebatiand and Mia would argue. That aside it's just entertaining and deserves the good reviews. Completely not what I was expecting. Fewer cringy songs, less toe-tapping. Just a feel good film that had the right balance of whimsy and morality. I loved that it handle the idea of sacrifice and determination so elegantly. And though the plot and the characters had massive flaws, it's just a beautiful, well-made film that made me happy - and to be honest, when you're doing something recreationally, that's the ultimate goal, right?! I had higher expectations for this film because of the number of awards it had won at the Golden Globes. Ryan Gosling and Emma Stone were good actors, but I wouldn't say phenomenal enough for them both to have won best actor and actress. Nonetheless, more exciting and a change from your traditional film. I love me a good musical! Catchy songs, cute dancing (although I didn't really feel the chemistry), Gosling is a natural for singing and dancing and is as charming as always. La La Land is one of those films for which you wait to come around. It is original, delightful and truly brings a smile to your face. Well, it did for me. The cast must have had some fun making it and that is exactly what I thought about 'Grease' so many years ago. The music was haunting and memorable unlike so many films where the music seems good at the time of the film but leaves you as you leave. Not so here. Ryan Gosling and Emma Stone had real chemistry which was a pleasure to watch. The storyline is the old one of boy meets girl...a few times in fact. Eventually the meetings become more than a glance or a trite exchange. We watch as their life paths develop through song, dance and some rather wonderful piano-playing by Ryan Gosling. Would I watch it again? Definitely! Perfect for musical lovers, a beautiful uplifting film to watch on a grim Sunday night and brighten up a bit. The story is quite simple, but the cast is very good and I think you can see how they enjoyed making this movie. La La Land surprised me in a good way. As the story is quite standard, it was delightful to see such a great visual movie. The colours, the decors, the fashion... everything was making me think of the late 50s Hollywood and its great iconography, whereas the movie takes places nowadays. It can be confusing but that's what I loved. I was also a bit reluctant to see a "musical" as I'm usually not a fan. This time, it was done in such a modern way, and most importantly, subtly, that it was cute and entertaining. And of course he soundtrack deserves its Golden Globe! Great jazz and melodies throughout the movie. I saw La La Land at a preview as a Picturehouse member. I was a little cross with myself for not writing the review straight away, but now I am glad I didn't As, my opinion of the film has improved as I have thought about it afterwards. It is without a doubt a visual treat in terms of the costumes and the set. The story is fairly standard but the combo of an actress and musician make for a really interesting examination of both. Gosling and Stone are superb. Though I cant help finding and actress playing an actress a little wearing. Gosling's persuading you he's a talented musician though is a real feat. I think while I was watching I was unconvinced that the film had power and impact. But it's over a week since I saw it, and thinking about it makes me smile and I'd like to see it again and perhaps even get the soundtrack. A classic trying to make it to the big time movie with an exciting new feel. Broody, set in his ways, pianists and a quirky want to be actress find each other on the way to trying to find stardom. Disclaimer: I am a musical nerd and constantly wish my life was a musical. This movie has amazing songs, full of emotion and it's not as you expect. There is a reason this movies is cleaning up at the awards. Emma Stone and Ryan Gosling as great, the movies is a must watch. It made me truly escape for 2 hours. If La La Land has set a precedent for films in 2017 then it's going to be a great year at the movies! I have to admit I was a little dubious about the hype but this film really lives up to it. Framed by a fantastic opening and closing sequence, there are four very distinct stages in the film, each bringing a new style, atmosphere and section of the story with each of the four seasons. The film can be timeless, yet also very modern at times. There is hope, romance, sadness, loveable characters, great music, upbeat dancing and it oozes so much style throughout. Often musicals can focus too much on the soundtrack and have a second-rate cheesy storyline to go along with the songs but that's not the case with La La Land. The story is completely absorbing and I love how the colours, songs and ambience change to perfectly match the theme of the current story. Like all good musicals this film often has it's head up in the clouds but it is never too kitschy and the romance feels entirely realistic. Tender, simple, colorful, funny, witty, nostalgic Loved it The music will stay with you for days; loved the strong opening number ANOTHER DAY IN THE SUN but the ballad CITY OF STARS still rings in my ears 3 days after watching the movie... Made by WHIPLASH director, watch this space; Damien Chazelle is going places. Both movies have jazz in common and JK Simmons, though he only has a 'cameo' role in this one. That's the kind of movie you'd want to watch over and over despite the sad ending... This movie is perfect pre-dinner because it raises so many interesting issues, that can be discussed afterwards. I had heard amazing reviews of La La Land but for me it didn't quite hit the 5 star review. I think the film had amazing moments of joy and beauty - especially the first scene dancing in the street and the moment when they admit they like each other, but it didn't stick to the musical theme all the way through. The middle section seemed to turn into a bad cliched rom com. That wasn't what I went to watch. The leading couple were very handsome but there singing and dancing was not as good as the great musical stars of the hey day of Hollywood. Which was endearing in places but made it slightly unbelievable. The ending was brilliantly UNHollywood which I loved - and was a nice surprise. Believe the hype. This is cinematic perfection. A wonderfully rendered tribute to Hollywood's golden age musicals. Stone & Gosling are superb leads. The music incredible. The mise en scene gorgeous. I love it with an almost religious passion. Probably the sort of film one needs to see twice in order to fully appreciate. It's more complex than I anticipated. Wow wow wow, one of the best films that I have seen in a long time. An ode to classic Hollywood musicals, jazz music, Los Angeles and its dreamers, Damien Chazelle has hit it out of the park again. 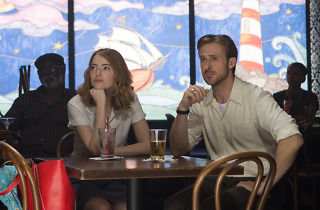 Ryan Gosling and Emma Stone are spectacular and make a formidable acting duo. I don't even generally like musicals but I'll be going to the cinema again to watch this film for a second time. What's more important - fame or true love? La La Land answers this all important question. Follow the tale of Mia and Sebastian as they struggle to make it big in Hollywood... she's an aspiring actress, he's a jazz musician wanting to open his own club. The pair of dreamers have overwhelming chemistry which makes this musical a truly magical cinematic experience. It's a timeless story and one that will have you hooked until the end.